Children will feel a huge sense of accomplishment when they finally master a certain pose after working on it for weeks. This helps them understand what their bodies are capable of, which builds their self-esteem and makes them feel more confident. 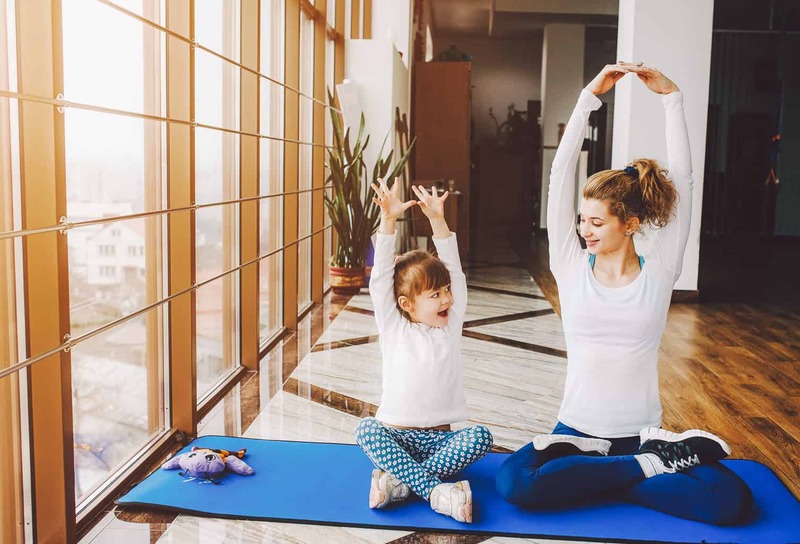 Unlike other forms of physical activity, there are no winners or losers in yoga, so every child can walk off of their mat feeling good about themselves. Many children have a hard time focusing on one task at a time, but yoga can teach them how to drown out distractions and narrow their focus. How? One of the first lessons in yoga is learning how to control your breath. In order to gain control over your breath, you have to focus all of your energy on inhaling and exhaling slowly. This simple exercise can teach kids how to focus, which will benefit them when it comes to taking tests, completing homework assignments, or even finishing their chores. Many people may use yoga to relax and meditate, but it’s actually a great form of exercise that burns calories, builds strength, and improves flexibility. It’s been proven that children who exercise on a regular basis will carry this healthy habit with them into adulthood. But, that’s not the only way that yoga encourages healthy habits. Yoga also teaches children to appreciate their bodies and manage their stress levels, which are two valuable lessons that will continue to benefit kids as they grow older. Have you tried practicing yoga with your children? Do you have any tips to share on doing so? Feel free to share in a comment below. Author Bio: Cassie Brewer is a health professional. In her free time, she enjoys writing about her passion (healthy living of course!) and everything beauty related. Nothing makes her happier than helping other be the best version of themselves they can be. You can read more at cassiebrewer.weebly.com and follow her on twitter @Cassiembrewer. Next Do first impressions count?